The elimination of plastic straws from restaurants in favor of alternatives seems to be the newest and most promising eco-trend going around the U.S. and Germany. However, while many have joined this bandwagon, hoping to feel better about their own plastic usage, very few have actually done any research into this topic. I decided to look past the emotional appeals to get to the facts of plastic pollution and why the straw has become targeted. I soon discovered that most of what we are being told about this topic is either not based in solid science or is intentionally misleading. To evaluate this in the right way, we must talk about when this trend started and why. Despite the trend feeling like the newest fad, the anti-straw movement is actually eight years old this year. Ironically, the age of this trend is only a year younger than 9-year-old creator at the time of its beginning. In 2011, a particularly concerned child named Milo Cress had a thought: straws are widespread and only ever used once. So, he decided to do “research” on how many straws are used every day in the United States. To find his number of 500,000,000 straws a day, he called straw manufacturers and asked them to estimate the number of straws used a year then divided the number by 365. Despite this less-than-scientific method, most top media companies, including National Geographic, have cited this number as a fact. Why would huge media companies be pushing an anti-straw campaign that uses data not backed by any real facts? As a business major, professors always tell students to “look for the money.” Every single website that includes anti-straw rhetoric features a store or a link to a store that sells them. Simply put, the reason straws are the big enemy is because it easy to sell. This follows a crude, yet effective strategy: guilt, offer penance product, then sell like hell. But you may be wondering, how did we go from a 9 year old’s poorly executed science fair project to companies like National Geographic pushing metal straws? The answer is a single sea turtle. In August of 2015, a sea turtle was discovered with a plastic straw up its nose and was filmed as rescuers removed it. The video exploded on social media and revived the forgotten anti-straw movement. However upsetting and emotional this video was, there seems to be a common theme: rarity. In fact, that sea turtle was the first and so far, last, sea turtle to be found with a plastic straw impeding its life. This begs the question, are straws really the problem? In fact, if you look into how many plastic straws kill marine life every year there is no statistic because it is not a regular occurrence. I myself have worked in the Environmental Education business for 7 years (including 4 years at the National Aquarium) and have experience with how animal education experts feel about straws. Back when straws weren’t the new plastic bag, aquarium officials were worried about, well, plastic bags. The reasoning is simple, plastic bags are one of the largest single-use plastics and they account for an estimated 1% of all ocean pollution. 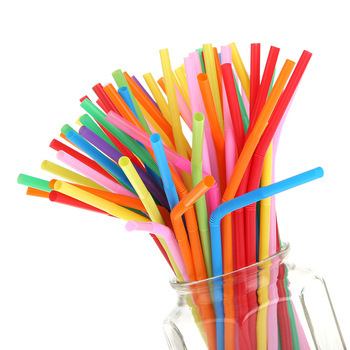 Compared to straws which have to be put into the “others” category based on how little it actually accounts for. The other major problem facing these campaigns is that they are targeting the UK and the U.S. markets which account for little ocean pollutants compared to other countries. A study conducted in 2015 by a German group found that around 90% of ocean pollution coming from rivers (the most common way for pollutants to reach the ocean) is to blame on ten rivers, ALL of which are in Asia and Africa. The bottom line is that America especially, but also the UK, is held to ridiculous environmental standards, based on “research” with no scientific backing, while the main problem countries continue to pollute the planet at increasing rates. No, straws are not the main problem and pushing anti-straw policies will do little more than make you feel a little more environmentally conscious. If you don’t believe me, ask the now 17-year-old Milo Cress that started this whole movement, who now claims that bans on straws aren’t the answer and they should still be available to anyone who wants one. If you truly want to make a real impact on the environment like I wanted to, worry less about straws and go volunteer. Whether you are educating the next generation on eco-friendly lifestyles (as I do) or collecting trash on your local beach, action creates much more lasting effects than inaction. And for God-sakes, stop making people feel bad about wanting to use a damn bendy straw at lunch.